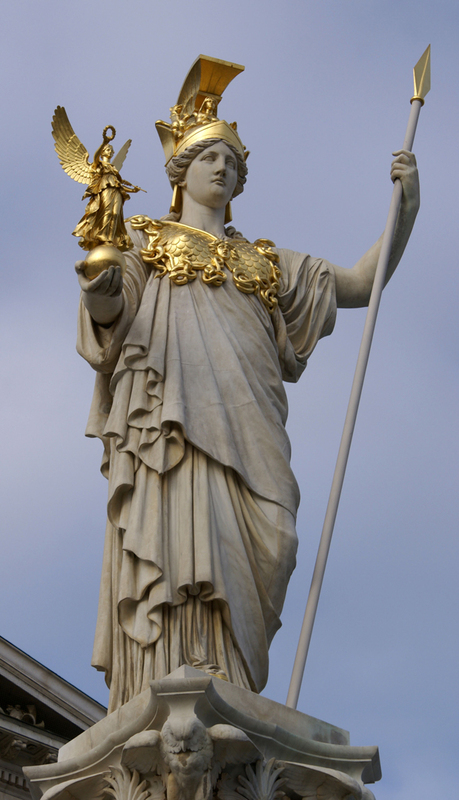 Minerva is the roman name of the Greek goddess Athena. She was the virgin goddess of music, poetry, medicine, wisdom, commerce, weaving crafts, and magic. 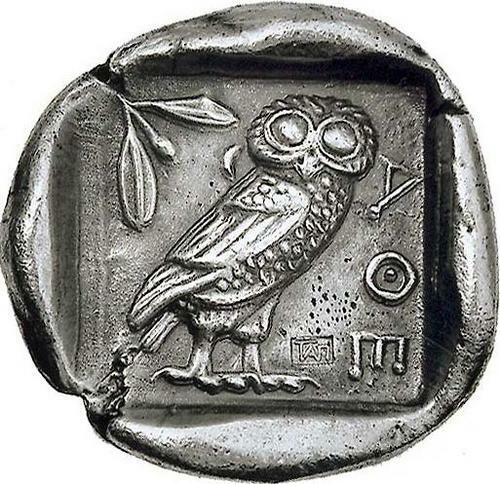 She is often depicted with her sacred creature, an owl usually named as the “owl of Minerva” or the “owl of Athena” which symbolized her association with wisdom and knowledge. She was born with weapons from the head of Jupiter. After impregnating the Titaness Metis, Jupiter recalled a prophecy that his own child would overthrow him. Fearing that their child would grow stronger than he and rule the Heavens in his place, Jupiter swallowed Metis whole. The Titaness forged weapons and armor for her child while within the father-god, and the constant pounding and ringing gave him a headache. To relieve the pain, Vulcan used a hammer to split Jupiter’s head and, from the cleft, Minerva emerged, whole, adult, and bearing her mother’s weapons and armor. She is the virgin patroness of Athens. The Athenians founded the Parthenon on the Acropolis of her namesake city, Athens (Athena Parthenon), in her honor.